Both Ogre sixth edition and Ogre designer's edition can officially become miniatures games. 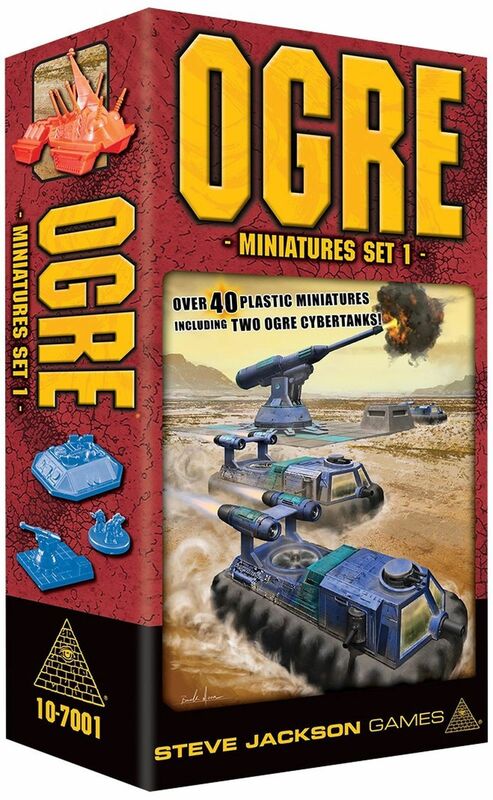 These MINIS, sized to fit the current generation of Ogre products, provide the most exciting experience yet. Includes combine forces in red: two ogres, a Mark III and a Mark v.
Includes Pan European defenders in blue: Heavy Tanks, Missile Tanks, GEVs, Howitzers, Infantry, and a Command Post. Ogre is the classic game of future tank Warfare, set in 2085 a.D.